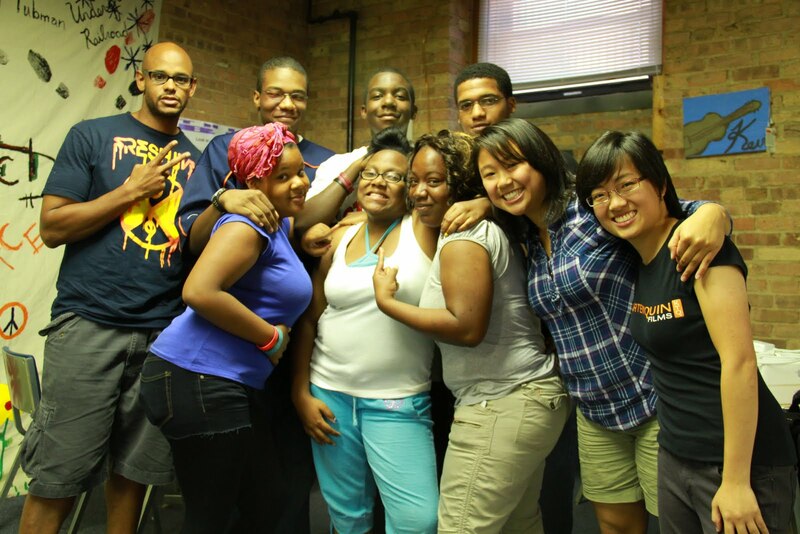 My Cabrini Kids have officially completed their summer session with us! It was a gruelling 8 weeks, with 3.5 hour sessions packed with lotsa learning activities and they’ve made it through! 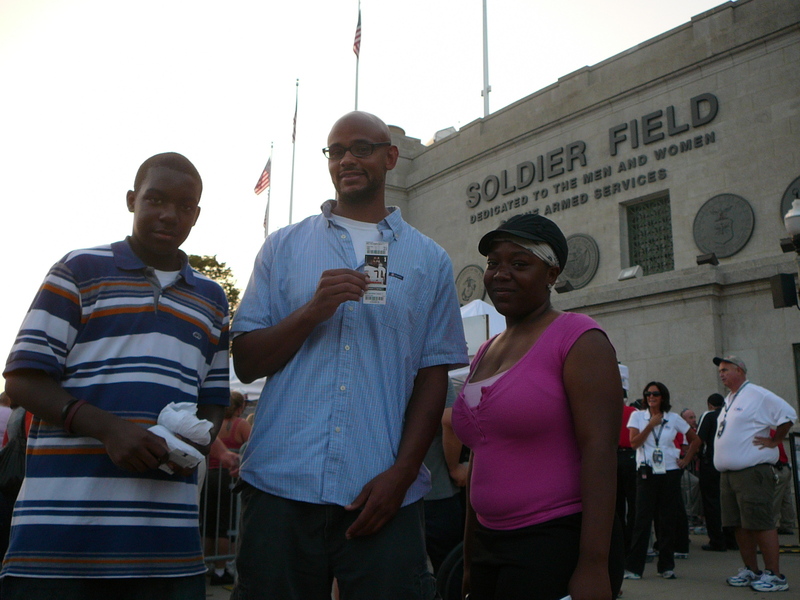 We had a point system going throughout, with the kids earning frames for good attendance, participation and performance, and the top 2 scorers were rewarded with an all expenses paid trip to watch the Chicago Bears live at Soldier Field! Much thanks to Cabrini Connections for sponsoring the tix. Read more about our amazing experience here. 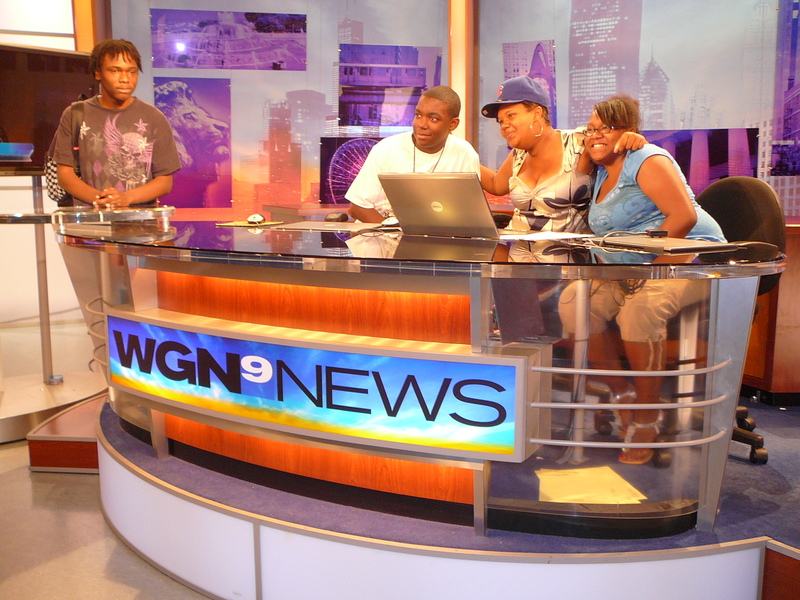 And to really end the session with a big bang, we went on a field trip to the WGN studios in Chicago! 3 hours of touring the facility, meeting many professionals in their various departments, plus some very inspiring words from their staff members our kids to work hard towards their goals! Now it’s not everyday you get to take a picture sitting at the actual news desk u’re used to seeing on your morning news! Thank you WGN for your hospitality and willingness to teach. It was fascinating to see the inner-workings of our local news station. So remember i mentioned that we worked on creating 2 music videos this summer? They’re now officially online! Enjoy these pieces, entirely chosen, conceptualized, shot and edited by the teenage members of Reel Talent Productions! Many thanks to my fellow club leaders Jane Wang and Drew Hall for all the help and guidance… you’ve played a huge part in helping to make this summer session such an awesome one. Thanks also to the staff of Cabrini Connections, especially Brad and El for rendering all the help you could give to help us out! Sign up for Shuling’s free newsletter!